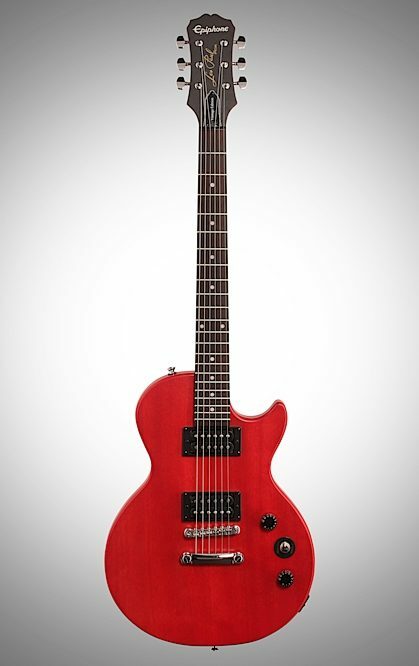 Epiphone introduces the Les Paul Special VE (Vintage Edition) electric guitar, featuring the classic Les Paul profile. The Les Paul Special VE is powered by Epiphone Open Coil humbuckers and is available in beautiful "Vintage Worn" color finishes including Cherry, Ebony, Heritage Cherry Sunburst, Vintage Sunburst, and Walnut. 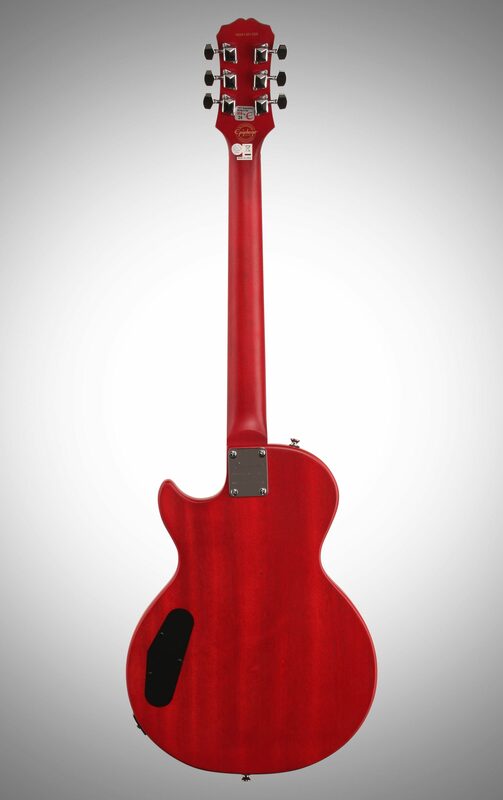 For decades, the Les Paul Special has been one of Epiphone's bestselling electric guitars. 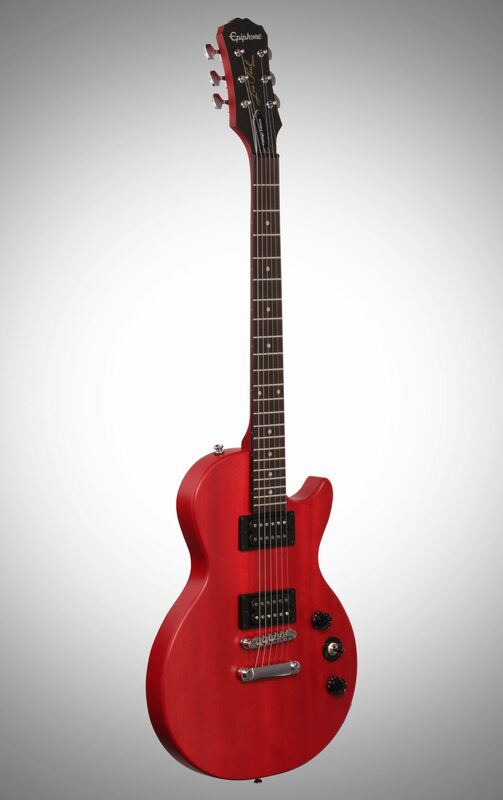 And the new Les Paul Special VE -- inspired by the Les Paul, the greatest electric guitar in rock -- continues the tradition of giving new both players and pros a real Les Paul at a price anyone can afford. The Les Paul Special VE has a Poplar body with a sleek look thanks to the Vintage Worn finish and no binding on the neck or body. The Les Paul VE is cut to the same classic profile of all Les Pauls and has a comfortable and fast Mahogany bolt-on neck with a 1960's SlimTaper D profile. The poplar composite fingerboard has traditional Pearloid "Dot" inlays, a 24.75" scale, a 14" radius, 22 medium jumbo frets, and a standard 1 11/16" nut. Just below the headstock is the famed "bell" shaped truss rod cover found on every Les Pauls since the early 50s with "Vintage Edition" in white. 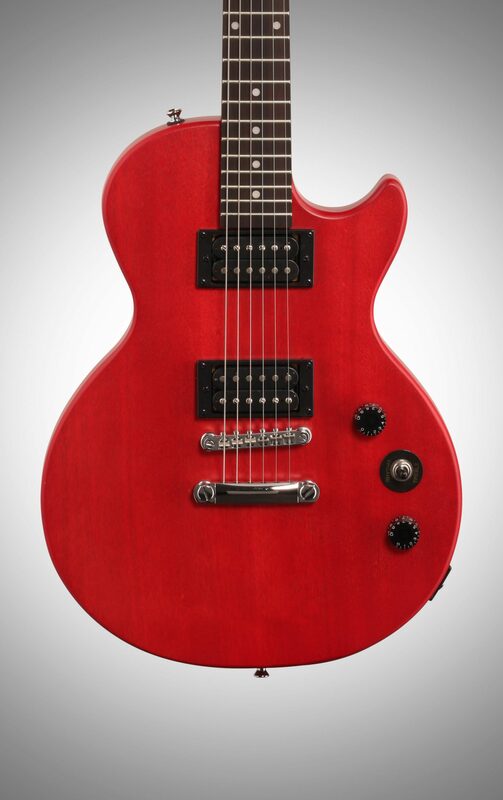 The Les Paul Special VE features Epiphone's world famous open-coil humbuckers with a warm 650R in the neck position and a slightly hotter 700T in the bridge or lead position. Controls include a 3-way pickup selector switch, a Master Volume, and a Master Tone control, each with traditional "Black Speed Knobs" pots with long lasting 500K O potentiometers. 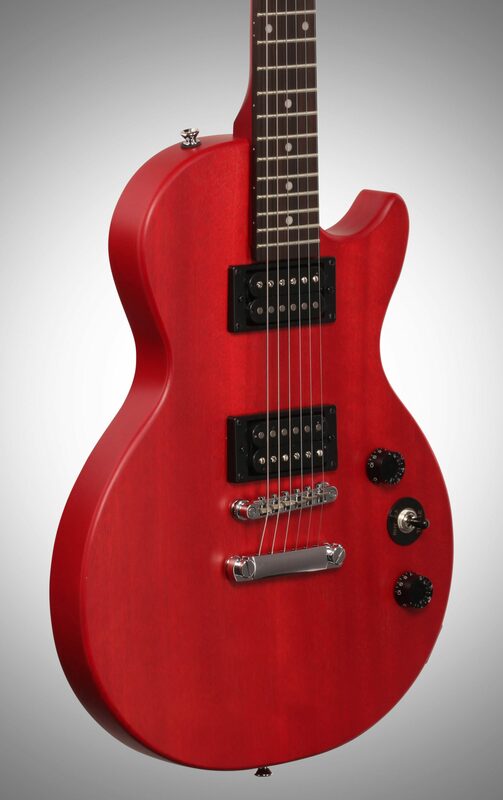 Epiphone features all-metal rock solid hardware on all of its instruments. The Les Paul Special VE comes standard with the legendary Locktone Tune-o-matic bridge and Stopbar tailpiece for easy set up. Tuning is fast and reliable with Epiphone Premium Covered tuners with a 14:1 ratio. The higher the ratio, the more accurate your tuning. The tuners are mounted on an Epiphone Clipped Ear headstock with Les Paul Model in gold and the Epiphone log in silver. 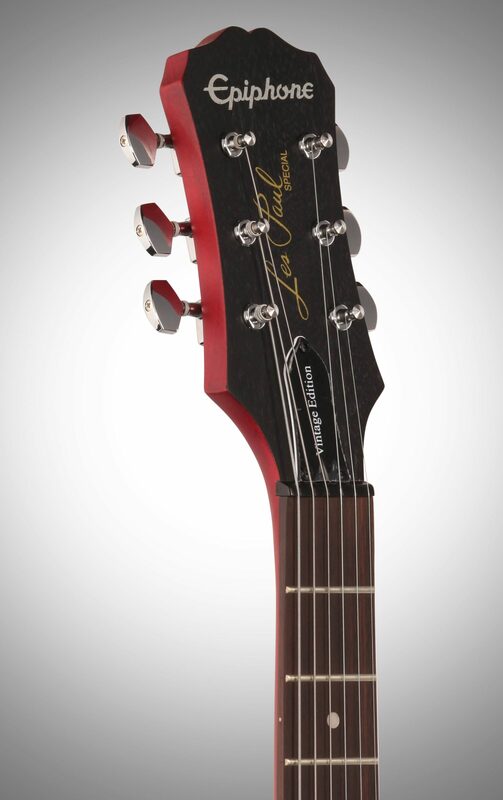 In addition, a "2016" Edition logo is on the back of the headstock. 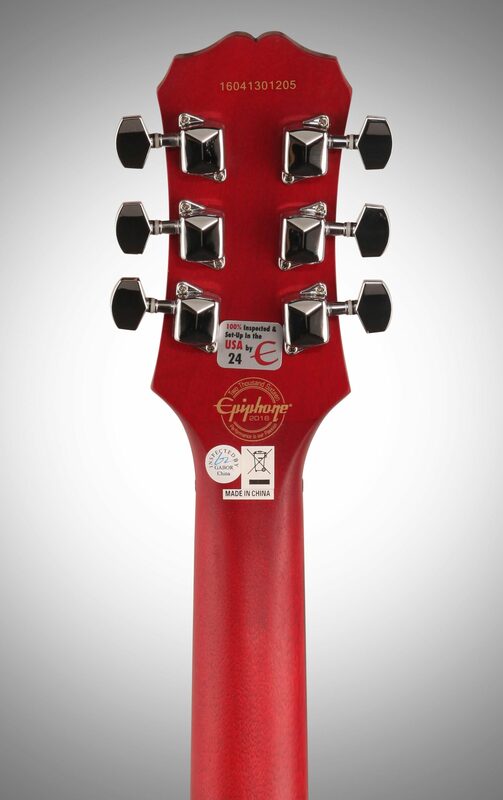 All Epiphones come with a Limited Lifetime Warranty and Gibson's world famous 24/7/365 Customer Service. "Lot of bang for the buck." Overall: Overall the guitar is a great one for the money. It's aesthetically pleasing with the Walnut finish and nicely tapered neck. I must have turned it over half a dozen times before I plugged it in. The only thing I noticed was the fret ends could have been polished a little better. They weren't Sharp, but may interfere with finger/hand action. I just touched the ends a little with a fine file , the polished them with triple 0 fine steel wool. Smooth as silk after minimal effort. The tuners are okay, not to much float in them and the hold a tune after the strings are stretched . The stock strings are fine but I'm sure I'll put some Rev Billy strings on it soon. The sound and tone is what struck me the most. It sounds great, with any pedal mix or distortion level. There are some mixes that the G string can be a little obnoxious but I've found that true on other Les Paul models as well. Just adjust your tone a little and it's fine. Movement on the neck and fretboard is quick and effortless whether playing chords or picking out a riff. I would definitely gig out with it, bit I'm more content to use it as a practice guitar. Service from zZounds is quick and painless. Turnaround time was a day. Style of Music: Rock, blues and some classical. "One of the Best purchases i've made." Overall: I bought this guitar because I was in need of an upgrade and didn't have too much to spend. The quality of the guitar is perfect for the price point, plays well, feels great. Just a quick change of the strings and it'll play amazingly. 20 of 22 people (90.91%) found this review helpful. Did you?